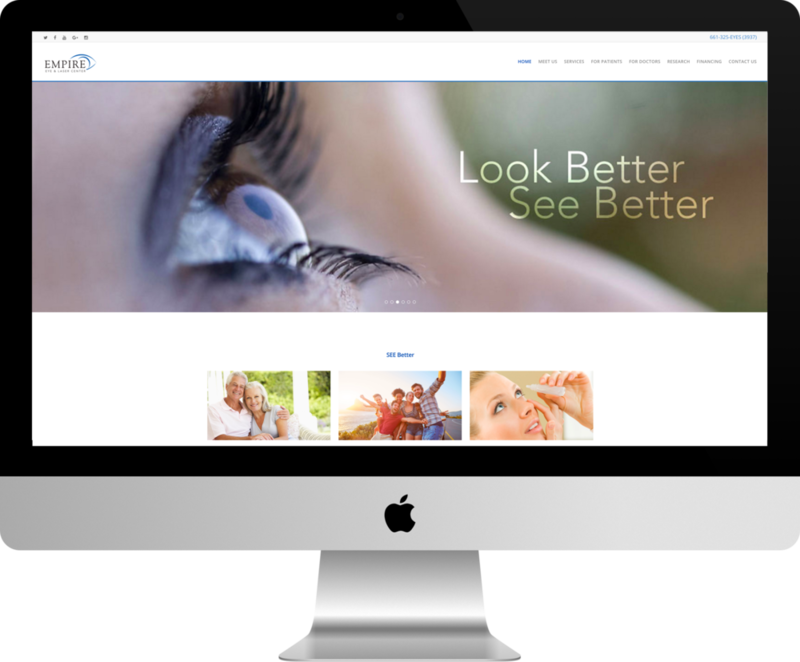 Empire Eye and Laser Center in Bakersfield, California needed a new website to better showcase their ophthalmic, oculoplastic offerings, and cataract surgery to potential patients. Their slogan, "Look Better, See Better" helped inform our approach – we created a new website that not only looked better than their previous one, but helped patients "see" them in a better light. Empire's old website was not responsive and hadn't been updated in several years. The few images they had on the site weren't very relevant, and most were pixelated. Overall, the site looked like it hadn't been cared for – the practice needed some help. Empire needed to create a new website that would help them communicate a better story to their audience, but they wanted to convey a similar look and feel so that they wouldn't lose out on the powerful local brand they had worked so hard to build. Messenger helped Empire Eye and Laser with a "re-brand" of their website, keeping a similar enough look and feel to maintain brand equity while bringing the website into the modern age. By redesigning Empire's website to be responsive, they were able to capture a younger audience interested in LASIK procedures that were previously bouncing off the website because it wasn't mobile-friendly. By implementing smart marketing lead generation strategies, we were able to help Dr. Chang at Empire Eye and Laser Center grow the practice's audience and reach more patients. All of this served to create a strong online presence and reputation, helping them grow their business and create a booming practice. Curious how your website measures up?